Happy Friday. I'm glad you had a chance to stop by and take a look around. This week over @ Sketch Frenzy Friday, I am the designer of this weeks sketch. How cool is that? Anyways, you know me. Love a challenge, and the whole creative process of it all. See how much fun this is? There is alot of potential for this sketch, just take a look. The arrows can be arrows or some other horizontal piece. The tag can be a tag, or any other vertical rectangle. The scallop circle on the tag can be a flower, a star, a butterfly, a circle, or any other shape. The sentiment placement, well, that's a no brainer. Put that puppy on the right lower corner of your creation. To me, easy peasy. And I hope you don't get stumped or derailed by the arrows. Remember, this is a sketch. Play, have fun! and lets create! 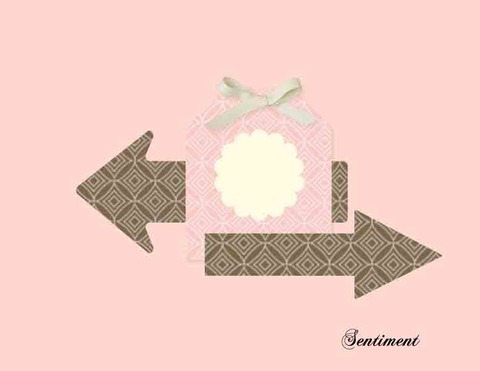 When I went in my craft room, I knew that I wanted to make something vintage. I have a wonderful girlfriend, who I call my sister, but we aren't blood relatives. Well, she got some horrible news from her doctor, and her heart is hurting. As well as her family, and friends. Anyways, I wanted to make a card for her. She is very special to ALOT of folks, who only want the very best for her. So, I made this card with her in mind. I will be getting this out to her in the mail today. As you can tell from my sketch, there is alot of horizontal lines. I wanted to add a little more vertical lines, to give the card a nice balance. The pattern paper I selected from the Fan Fair DSP collection I cut, so the lines would be running up and down. I also made my tag's orientation tall. To add a bit more vertical, I added a hand-stamped ticket to the left side of the tag. I used my square hand held punch to create the flag ends of the horizontal tape measure pattern papers. Also from fan fair dsp. As is the tag. I used the first edition DSP for the scallop circle. 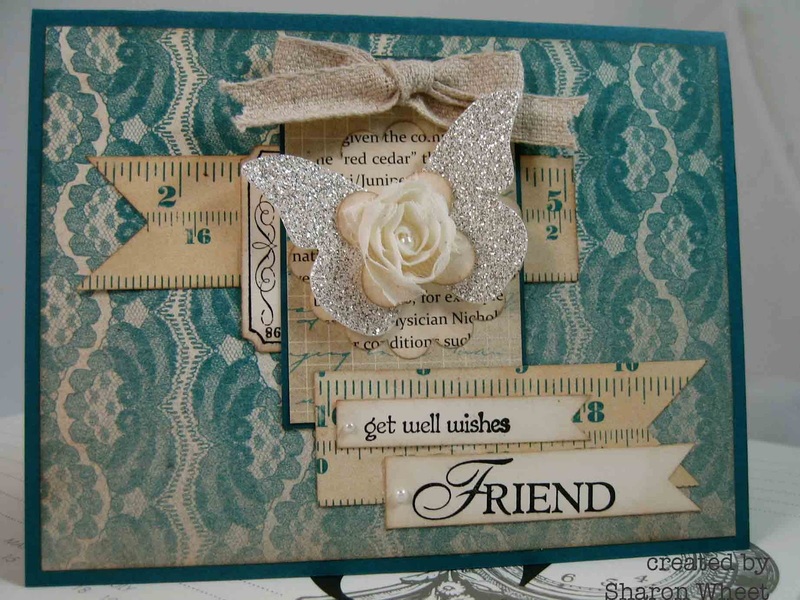 I used the silver glimmer paper for the butterfly, and the butterfly die. I used very vanilla cardstock and the fusion flowers die for the blossom. I cut one lone blossom from the floral trim, to help build the center portion of the butterfly. For my' sentiments, I did a double banner. I stamped the words in basic black classic ink onto very vanilla card stock. I used the burlap ribbon for the top of my tag. I also added some pearl jewels to the card, to help give it a feminine look. All edges of each paper piece has been distressed with crumb cake classic ink and a sponge. I hope that we have inspired you to play along with us this week, using my sketch @ SFF. Our staff at AJ Printing & Graphics can design and print quality indoor or outdoor banners for your company in a variety of styles, sizes, and color combinations.